Dr. Robert M. Kershner, who is chairman, medical director, and the lead professor for Palm Beach State College’s (PBSC) Ophthalmic Medical Technology program, was honored at Palm Beach County Medical Society’s 15th Annual Heroes in Medicine Awards luncheon for his contributions in health care higher education. “I am proud to be selected, though I never really consider myself a hero,” Kershner said. “Rather I believe this award is a recognition of the excellence of our Ophthalmic Medical Technology program, its Palm Beach Gardens campus, administration, staff, faculty, and the students and graduates who, every day, make us proud to be here.” Kershner developed the Associate in Science (A.S.) degree program in Ophthalmic Medical Technology and launched it in 2012. An eye physician and surgeon who has performed over 28,000 cataract, refractive and glaucoma procedures, Kershner has practiced in Palm Beach, Boston, and Tucson, Arizona. He personally knows the value of ophthalmic medical technologists, who support ophthalmologists in the evaluation of vision and treatment of patients with eye disorders. Without highly trained technologists, ophthalmologists can’t do their jobs as effectively or help as many patients. The program’s students—who have come from 18 countries over the last six years—train in a state-of-the-art facility designed by Kershner, featuring a fully equipped examination room, laboratory, and surgical suite. The entire curriculum is also paper-free. Students access all audio, video and graphics content, notes, study guides, assignments, quizzes and exams from either a tablet or mobile device. Beyond the classroom, each student does three different clinical externships over three semesters in the two-year A.S. degree program. Kershner and his team have enlisted more than 40 externship sites, and these local ophthalmic practices, surgical centers, and clinics snap up students for full-time positions as soon as they’ve graduated. 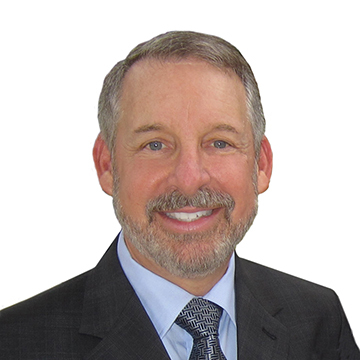 Kershner is recognized as an international leader in cataract and refractive surgery and a world expert on visual neuroadaptation and the surgical correction of astigmatism. Today, in addition to his role at PBSC, he is a sought-after industry consultant and is widely published in medical journals and textbooks. A recipient of more than 40 awards for medical excellence and listed in several “best” ophthalmologist guides, Kershner has also developed numerous medical devices, surgical instruments (many that bear his name), lasers, and intraocular lens implants for cataract, refractive, and glaucoma surgery.